Meet Up group for real estate professionals, held on the second Saturday of each month at The Chamber. Planning meeting for April 13 Family Fun Fest. 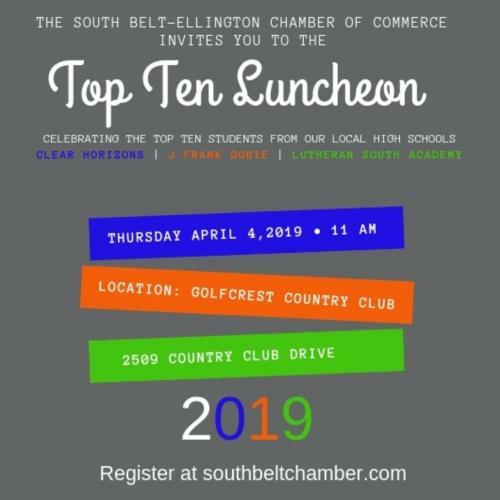 Celebrating the top ten ranked seniors at Clear Horizons Early College High School, J. Frank Dobie High School and Lutheran South Academy.